WHEN RELIABILITY IS NEEDED THE MOST. At A.Y. McDonald, you aren't just getting a product; you are getting an innovative solution, access to educational opportunities, and the ability to be treated like family. The customer is the boss and we aim to break the mold on how we reach customer satisfaction. Because in the end, without you, there would be no us. sales@aymcdonald.com I 800.292.2737 I aymcdonald.com DURAMAC TM SUMP PUMPS A flooded basement is a pretty big deal – and so are A.Y. 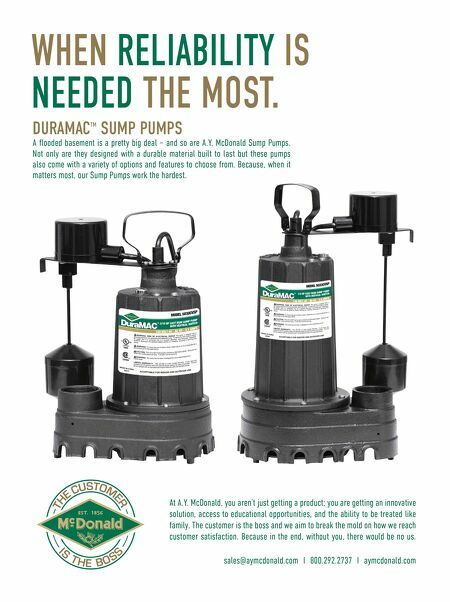 McDonald Sump Pumps. Not only are they designed with a durable material built to last but these pumps also come with a variety of options and features to choose from. 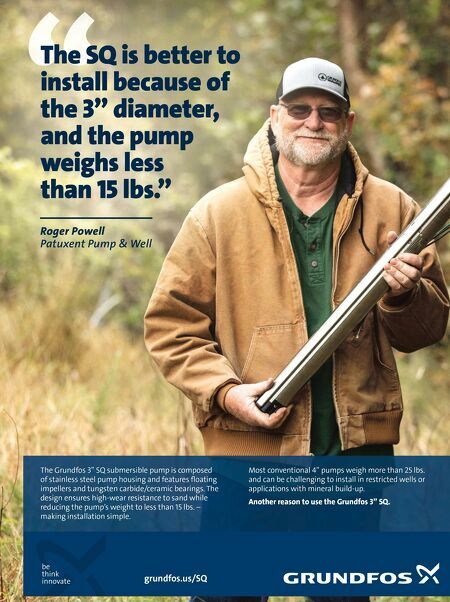 Because, when it matters most, our Sump Pumps work the hardest.